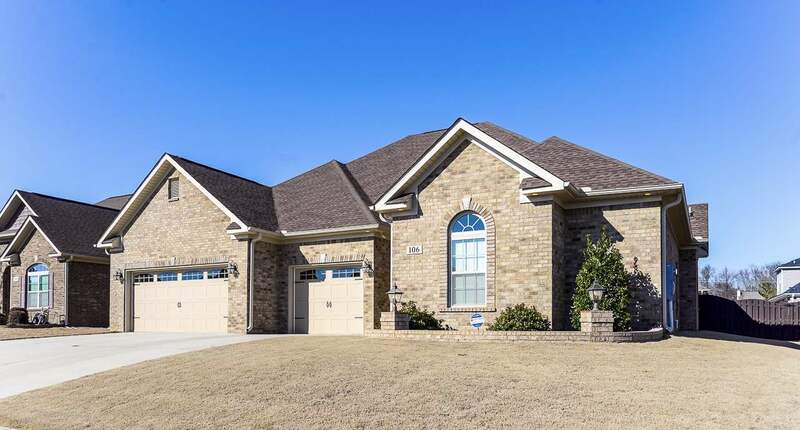 This lovely, practically brand new, full brick home has a beautiful functional open-floor-plan! Features 4 bedrooms (two master retreats one up and one down), 3.5 bathrooms, an office, a bonus area, a 3-car garage, Gas stove top, Renia tankless hot water, a fireplace, a covered terrace, and a POOL! Better than new with beautiful wood floors, granite counter tops, a kitchen island, walk-in pantry, fireplace with a bonus: 3 bedrooms downstairs, including isolated owners retreat with upgraded closet, upgraded with larger master shower and additional counter space. Enclosed electrial start fireplace and POOL.